Yes, PanelPlace is Legit, BUT not worth it. Find out why! On its website, PanelPlace claims that it is a place for you to earn, learn and more. But is PanelPlace legit and a way to really earn extra money, or is it a scam? And what can you learn there, and what does “more” refer to? 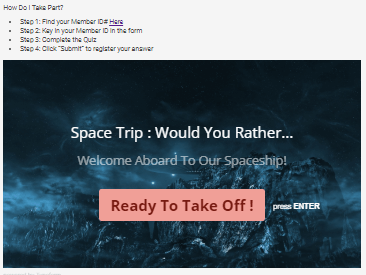 In this PanelPlace review, I will give you all the details and answer these questions, so you will be able to decide if it is a site you want to join or not. Let me reveal right away that it has some things you might benefit from but it also might not be exactly what you would expect. So let¨s go over all the details so you can see and judge for yourself. What is PanelPlace and what opportunities does it offer? PanelPlace was established in 2012, and according to the site itself, it is an online platform that helps users explore new opportunities and help businesses grow by gaining new users. This might sound a bit fluffy, but after reading a bit further, you will understand what that means. So let’s get to the opportunities PanelPlace has so you can see if it will be worth your time or not. Before we start, I just want to make it clear that this review is based on my personal experiences and opinions, so take it is as an opinion and not as facts. PanelPlace is by some considered a paid survey site, but let me clear up that misunderstanding right away. It is not an actual paid survey site, as it does not send out any surveys itself. It is instead a portal that you can sign up for, and then you will get access to a list of survey sites that are available in your country. This is also what is called a survey aggregator. From that list, you then have to go to the sites themselves and register again. So being a member of PanelPlace will not as such give you any surveys, but will potentially give you access to a list of survey sites you can join. The list you get access to on PanelPlace is, in my experience, not very big. In fact, I have been a member for a while and I have only had a couple of survey sites suggested. One of them has, for example, been to join LifePoints Panel. I have previously had one other suggestion but that is all the survey sites I have been suggested. You get access to a list of other survey sites you can join. The amount of recommended survey sites for you might be different as it will depend on the country you live in. However, I have done reviews of several aggregators before (another example is Survey Voices), and I must admit I am not a big fan of many of them. The reason for this is that I think it is rarely clear what you actually get before joining and for many people it might not be clear that you can not earn by taking surveys on the sites themselves but that they just refer you to other sites after you join. I actually do not really see any need to join a membership site just to get access to a list of other sites you can then go and join. So you just need to be aware that you will not be able to take paid surveys directly on PanelPlace. It is more a survey overview portal than an actual survey site. This is not to say that this is neither bad or good, as this depends on your preferences, but just simply to make you aware what the site is, so you will know if you decide to join. And compared to other survey aggregators I have tested, I must say that PanelPlace is one of the better. And it is only recommending survey sites that are actually legit so that is very good. PanelPlace has its own app. Apps for survey sites can be great, as it is an easy way to take surveys on the go. But as mention, PanelPlace is not an actual survey site, and to be honest, I do not think it makes much sense to have an app considering it is just a portal where you can get a list of sites to sign up for. PanelPlace has an app – but it will not give you access to more options than the website. Having an app does however look fancy, but you should not expect to get any extra good chances out of downloading the app, and as I said, I simply do not quite see the point in the app. But if you like PanelPlace, it is great that you are able to access it through your mobile. But if you like taking surveys on the go, it is more important to find survey sites that have apps or are mobile optimized. PanelPlace regularly has contests that you as a member can participate in for free. Here you can usually win $10. What the contest is about is different from contest to contest, but it is usually some kind of quiz where you have to answer some riddles, some questions or guess the right answer. PanelPlace regularly runs free contests. Usually, 20 winners are then selected. I actually like this aspect of PanelPlace, and this is where it separates itself from most other survey aggregators I have tested. Usually, you do not actually have a chance to earn on these sites but on PanelPlace you can actually earn and win prizes if you are lucky. You just have to be aware that you have to be very lucky. From what I can see from previous contests, the number of participants is often between 2,000-4,0000 so with only 20 winners you have to be lucky. But still nice that they give you the chance to win. Once you have signed up for PanelPlace, you will start receiving emails from them. Luckily not too often, but usually 1-3 times per week in my experience. Most of the emails will be reminders to try to get you to sign up to the survey panels they have suggested that you have not yet joined, but you will also receive emails when they have a blog post on their website, and when a new contest starts. If you are a member of survey sites, you have probably seen that many of them have an option to invite friends to join the site. As thanks, you will get a small compensation, if your friend ends up joining and start using the site actively. The invite a friend option on PanelPlace is, however, a bit different. You can find a section with an invitation link on the website. The difference between the refer-a-friend option on PanelPlace and other sites is that on PanelPlace you do not get any compensation for it – a bit cheap, if you ask me. Many survey sites have Facebook pages, and it can be a great and easy way to keep updated on news on the sites. Other Facebook pages are however mostly a waste of time. In my opinion, PanelPlace’s Facebook does not make much sense to follow, as it rarely provides any real news or valuable information. Many of the post or just funny or clever quotes. 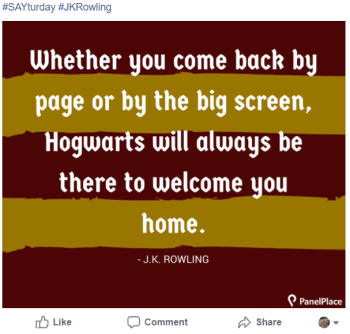 An example of a PanelPlace facebook post – not much to do with paid surveys! That can definitely be inspiring or entertaining, but there is a time and place for everything, and in my opinion, a Facebook page for a survey site is not where I go to see funny cat videos, read funny quotes, etc. It is a page I will follow if I know it will give me good opportunities to earn a bit extra. That might be different for you, and you might enjoy the quotes, etc. it posts, but now at least you know what to expect. To be fair, PanelPlace also does post when there is a new contest, so there is a little relevant and useful information regarding paid surveys. But you will also receive this via email and can see it by logging into the site. As I mentioned in the very first sentence of this review, PanelPlace claims on the front page that it is a place to earn, learn, and more. Considering this statement, you would expect there to be a lot more opportunities than what I have described so far, and maybe even good ways to learn new skills – that is however not the case. It is not so clear why PanelPlace claims it is a place to learn. But by taking a closer look, I can see they say you can explore new opportunities to learn new skills from courses. It is not very clear what the education option actually is. Learning new skills is great. 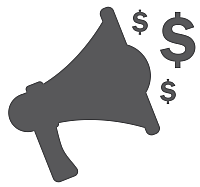 you just need to be aware that what this means is that you can find some promotional offers for courses inside PanelPlace they earn commissions to promote – nothing wrong with that, but you just need to be aware that it does not mean you will just get free access to courses. What it means is that you will get access to some promotional offers for courses you can buy. As you can probably guess by now, I am not very impressed by the opportunities on PanelPlace even though it is one of the better survey aggregators I have seen. You cannot at such make money on PanelPlace. Or you can win a prize by participating in their contests if you are lucky. Mostly just sign up to survey sites through that website, and then you will be able to make money on the survey sites themselves. 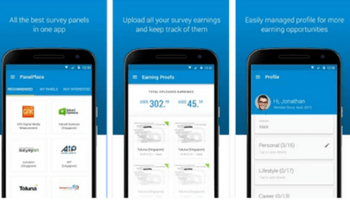 PanelPlace will not have any influence on the amounts of surveys you will be offered or how you will get paid. All that you have to deal with directly at the different survey sites. How much you can then make on the survey sites you join depends on a number of different things, and there is no exact answer for this question. If you join the top paying survey sites, it can definitely be a way to make some nice extra cash. It is just important to know that you will not become rich from answering surveys no matter which sites you join. But they can definitely be a legit way to make some extra money if you go into it with the right expectations. So is PanelPlace legit or a scam? Even though I am not a big fan of PanelPlace, it is definitely not a scam site. It is free to join the site, so they do not try to lure money from you as some scam survey sites do and it is a safe site to join. The site does not promise you that you can make a living from doing surveys but is honest about the fact that surveys is to have your opinion heard and make some extra cash for sharing your opinion, but not a way to make a living. I appreciate when sites are honest about this, as unfortunately there are several sites that promise you way more than what is possible with surveys, and give you false hopes, just to get you to sign up. PanelPlace also has a page where you can upload payment proof when you have received a payment from a survey site so other members can see it as proof. This feature seems legit, as there are not many people that are using this (as most people cannot be bothered about this), and there are no proofs for huge amounts as there are on scam sites that try to make it look like you can become rich from doing surveys. So it seems like the payment proofs are from actual members. Before you join, it will, however, might not be very clear to you that PanelPlace is not as such a survey site, but just a portal that will give you a list. But this information can be found on the site if you have a look more thoroughly around the site before joining. And to my knowledge, all the survey sites that they do refer people to are legit companies. So PanelPlace is a legit site, but that does not necessarily mean it is worth joining. Now you know what PanelPlace offers and what it is about. But do these opportunities mean that it is worth joining? Probably not, in my opinion. It will give you an overview of survey sites through one portal, and if you like the idea of this, it might be worth joining the site for you. For me, it did however not give any good options. I have only ever been suggested to join two survey sites after joining PanelPlace, and this is supposedly the only survey sites available in my area. It might be the only survey site that PanelPlace has an agreement with that is available in the country where I live, but it is definitely not the only legit survey site here. So for me, it has not given me any useful information to be a member of PanelPlace, and there is better and more elaborate information about survey sites and about how to find the right survey sites for you, many other places online in my opinion. 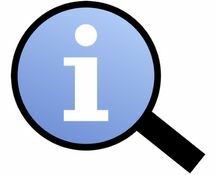 And many other places where you can also find this information without having to join as a member and log in to get it. Can I get the same information somewhere else? As mentioned, most of the information you can get by being a member of PanelPlace, you can find elsewhere as well, and without having to become a member. You can, for example, check out my top 10 survey panels or do a quick google search. There is however one thing that you can get by joining PanelPlace. That is the chance to participate in the contests the site has, and thereby getting the chance to win $10. I think that it is great that they give 20 members $10 as an extra reward once in a while. You just have to be aware that there is a very little chance that you will actually win as previously mentioned. If you join, be aware that you will not necessarily get a very big list of survey site options. I know that from experience. And I know that there are many other survey sites than what you will see there. 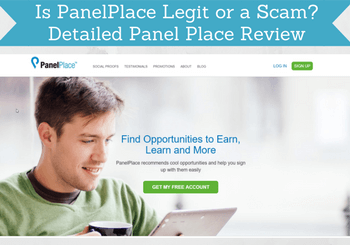 So even if you do end up joining PanelPlace, it can be good to know where you can find additional information and more elaborate reviews before you decide to join the survey sites PanelPlace will suggest. This way, you will know before joining any of the suggested sites, what the sites actually have to offer, and have a better idea if it is interesting for you. As you can see, I am not very impressed with PanelPlace. To be honest, I do not really see the point in joining PanelPlace. You have to join as a member just to get access to a list of survey sites – and not even a very elaborate list. Personally, I think there are better ways to spend your time than to join a site, just to click links to join other sites. This seems unnecessary unless it had given access to inside information and a really good list. That is however not the case, in my opinion. Therefore, I recommend you to join the best survey sites in your country directly. They will all give you access to earning directly on the sites and give you daily earning opportunities. If you have any comments, questions, or any experiences with PanelPlace yourself, I would love to hear from you in a comment below. PanelPlace is not as such a survey site. It is more an aggregator that gives you links to other survey sites you can join. It does not give you a very elaborate list and not any further information about the sites. However, all the sites it recommends are legit. But there is not much use in joining this site, in my opinion. Thank you Derrick. Glad to hear that. Thanks for your article. This is a very informative and detailed review. Thank you very much for the feedback Cara. I appreciate it. I finally understand what a survey portal site is all about thanks to your article. Personally I think just joining up with Panelplace with the hope of winning the contest is the same as buying a lottery ticket.You will not have much luck. I tried my hand at survey sites and found them a true time waster. I am looking for a way to earn money by building a solid online business. Can you offer me any suggestions? Thanks for your comment Roopesh. I do actually not think surveys are a waste of time, if you chose the right sites and do it with the right expectations. Then it can be a very nice way to make a bit extra and at the same time have your opinion heard – I think that is great. But if you are looking for a way to make a living online you are very right that it is not the way to go. If that is what you are interested in, you can check out my article about how to build an online business. That panel place sounds like just another copy cat site. I was big fan of swagbucks because they have lots of different things besides surveys. But they use third party offers and don’t who uses what information when you submit it there. I looked on your site for a review of that one but didn’t find anything. Could you let me know what your opinion of them is. Thanks for your comment Eric. I was actually planning to write a post about Swagbucks one of the next few weeks. I live in a country where I cannot join Swagbucks, so cannot say so much about how it actually is to be a member there. But will write more about certain things I have noticed in the promotion of Swagbucks that I think people should know as well. But can unfortunately not say anything about being a member there, as they only allow members from very few countries.